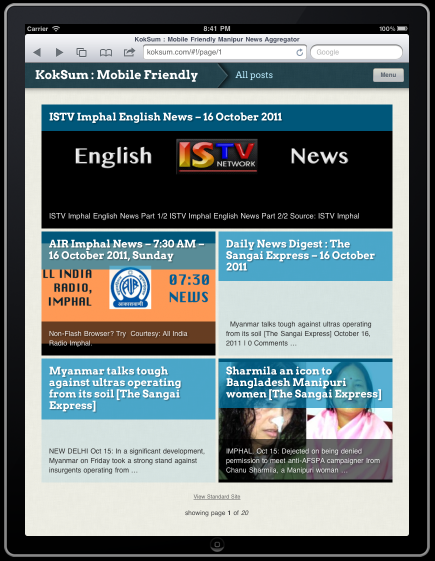 Koksum.com is specially designed to be smart mobile friendly and display the content in an optimized and visually appealing layout. As it looks great on the normal browser on a Desktop or Laptop, it smartly switches to a different theme when you browse from a Smart Phone (Android/ Apple iPhone) or tabs like Apple iPad. There are some of the sample screen shots. Please provide your feedbacks and suggestions. 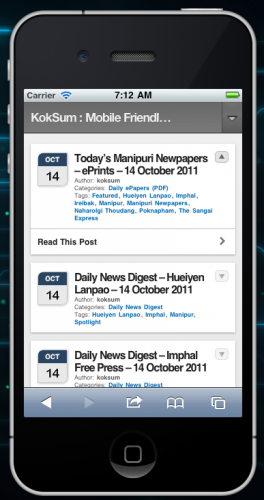 Apps: Next Aim – Separate Native Apps for Android and Apple iPhone. What do you say?